Moody's is the first of the major ratings agencies to venture some commentary on the impact of Trump tax reform on the US credit rating. 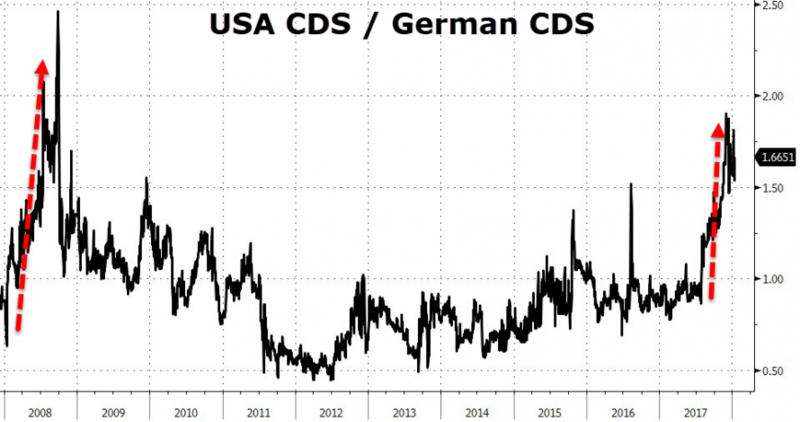 In an ironic twist, on the same day as Chinese officials, reviewing the nation’s foreign-exchange holdings have recommended slowing or halting purchases of U.S. Treasuries, Moody's warns that US tax cuts are seen as a credit negative for the USA Sovereign rating. 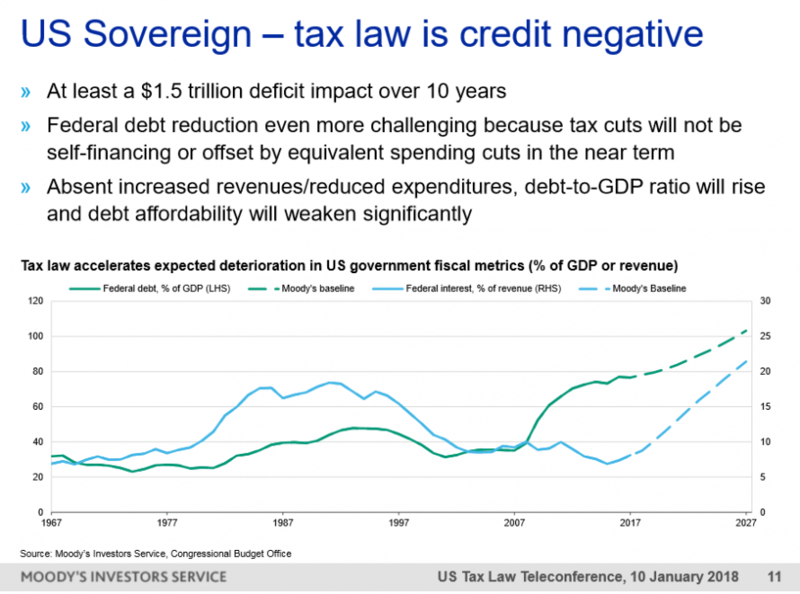 "Any boost to economic growth from the new US tax law will be modest and depend on how businesses and individuals deploy tax savings; growth unlikely to offset negative impact on government deficits." Additionally, the contribution of tax cuts to aggregate growth will be modest, around one-tenth of a percentage point of GDP.